Who Is Cleo Wade? Cory Booker Has Been Linked To This "Instagram Poet"
The Democratic senator of New Jersey didn't make the headlines for Hillary Clinton's VP pick earlier this year, but he's back in the spotlight now, due to the presence of another powerful woman in his life. Page Six reported Monday that Sen. Cory Booker is dating Cleo Wade as the two were spotted together at a party on Thursday night. Dubbed as an "Instagram poet," Wade is an artist and stylist who has been mentioned in the media before as a friend of Katy Perry's and maybe-girlfriend of Robert Pattinson last year. 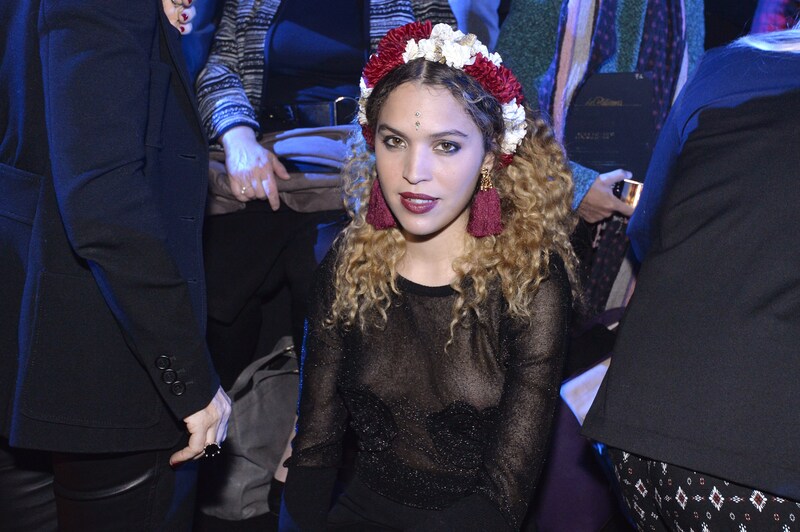 She may already have some celebrity friends, but what else do we know about Cleo Wade? Well, she's kind of a badass on Instagram. Known for her poetic posts on the social media platform, Wade has garnered an impressive 156k following. What lends her Instagram credibility are photographs of the poet's simple handwritten notes, often positive affirmations that encourage feminism, self-love, and daily inspiration. Born in New Orleans, Wade is based in New York and her Instagram popularity is illustrative of a new kind of artist as someone who reaches her audience by instantly publishing and promoting her work across a wide-reaching online platform. Touted for her authenticity, Wade's work is evocative in its simplicity — "Be yourself. I love you like that," reads a recent one, while another hand-scrawled note states, "The future of feminism is only as powerful as the future of anti-feminism." Scroll through her Instagram and you'll see she's all about unity and uplifting women. A self-described feminist, Wade's popularity on Instagram has made her a spokesperson unique to a social media age. Her website describes her as a "poet, artist and speaker that creates empowering messages, blending simplicity with positivity, femininity and arresting honesty." She has spoken at NYU's "Women on the Move" panel and she advocates for gender and race equality, being on the board of Emily's List, an organization dedicated to the election of pro-choice Democratic female candidates, and the National Black Theater in Harlem. It's seems like Wade has political interests and causes she cares deeply about, making her pretty compatible with Booker and his Democrat roots. Wade is also currently working on a book of mantras as well as completing an art series in her Brooklyn studio, she said in an interview with Refinery 29 in May. "I really want to focus my time and energy on being part of the community of young women, teens, and girls in the world. They are the future ... They're the most important investment we can make," she said. Booker is also passionate about advocating for gender equality and empowering women, writing about the the ways in which women entrepreneurs need to be supported in Huffington Post and more recently, reciting Maya Angelou at the Democratic National Convention. He's been guarded about his private life in the past and his office has declined to comment on the nature of relationship he has with Wade, but it looks like these two have similar political causes and could make for great allies, politically and romantically.